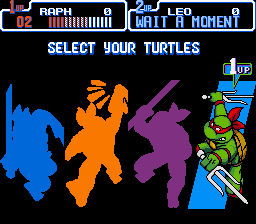 Play Teenage Mutant Ninja Turtles IV - Turtles in Time online with Super Nintendo browser emulation for free! 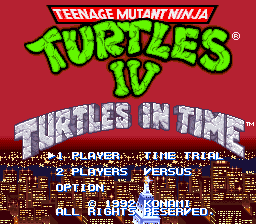 Teenage Mutant Ninja Turtles IV - Turtles in Time (SNES) game rom is loaded with features in our flash, java and rgr plugin emulators. Nothing to configure, we've done it for you! 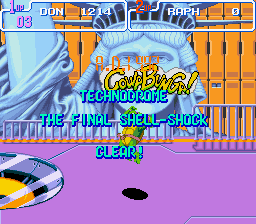 Level: Technodrome Lets Kick Shell! it's a doggy. stay on guard! 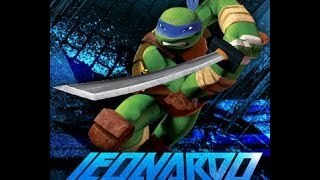 this is an awesome fast paced action game with great music and lots of fun levels to enjoy, I really like this game and I think it is one of the best tmnt games I have ever played and I definitely recommend it to anyone who is a tmnt fan and looks forward to a fun and challenging game. 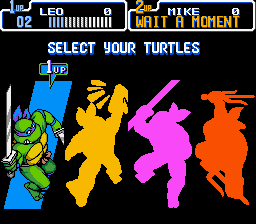 Out of all of the teenage mutant ninja turtles games I have played, I think that this one has the best graphics by far, everything is so clear and sharp and I like all of the sprites and characters, they look amazing and colorful. The foot soldiers and their different uniforms and weapons distinguish their rank and separate them from one another. 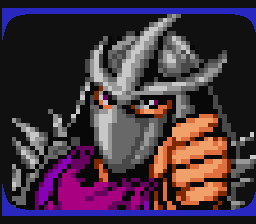 Shredder also looks pretty cool as well. The background for all of the places look great and really clear as well and the enemies and bosses also look very nice and detailed, so overall I rated the graphics of this game a 9 because of how clear and nice they look. The sound of this game is pretty awesome, the music is really nice and it is catchy to listen to, it changes from each level and there is also music for a boss as well which sounds fun and really sets you in the mood of the game. The sound quality is great and no matter when I last played this game, the music always stays with me in my head, it is just really catchy and I think that it is a great bonus to have good music that goes to the mood of the game and makes it sound great. I scored the sound a 9 because it is just really great quality and very fun to listen to and enjoy. Okay, I guess it is time to fess up, I do play this game often because the levels are fun and addicting and the gameplay, sound quality and all of the bosses and places are very nice and fun and that is why I enjoy playing this game so much. 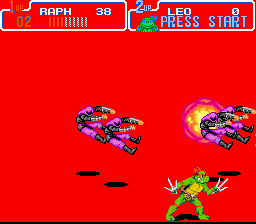 It is very addicting because there is just so much to do, there are many bosses, lots of levels and enemies to fight and it is a great game to play if you are a tmnt fan and you are really looking for a challenging and fun experience. I really enjoyed playing this game because of how in depth it is and just how much it offers, it is not one of those games that you beat in 5 minutes, it is truly awesome and enjoyable. I rated it an 8 because no matter how often I played it, I never got bored and I always enjoyed it. 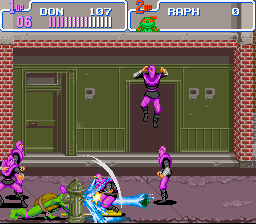 I like the story of this game, it is actually good, Krang takes the statue of liberty and then Shredder shows up on television and gives them a message and then they go after him to get the statue back. 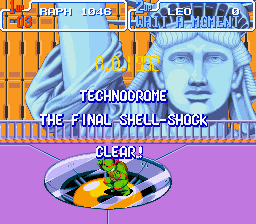 And when you reach the technodrome level when you beat him up in his ship he then banishes the turtles to a time warp into like 250,000,000 BC or something like that and they have to work their way up to the present and get the statue back. 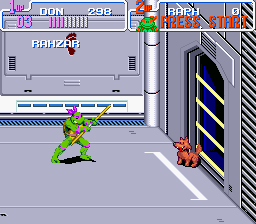 So it is a pretty interesting plot and I think it is fun to go back in time and go against all of the different bosses until you work your way up to Krang and then Shredder. I scored it an 8 because it is a very interesting and unique plot that I think is very fun and different. 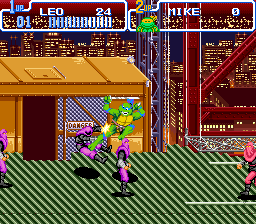 The game is a good length and it is not the kind of game you beat in 5 minutes but it is also not a game that should take days to finish, it is a pretty good length and can be beaten in about an hour or so depending on how good you are with tmnt games or if you have played this one before. The levels are pretty interesting and there are lots of different bosses to fight on each level which makes it pretty interesting. I really enjoyed the game because of mostly the enemies and bosses like the foot soldiers, krang and those weird things that are brown and they charge into you and take a lot of health away, I hated those things because of how overpowered they are. Anyways, I rated the depth a 7 because it is a pretty good sized game that leaves you with lots to do and enjoy and it doesn't drag on and take forever to beat. The game can be difficult at times, mostly because of the sheer amount of enemies that can gang up on you at one time, like all of the foot soldiers that take a few good kicks to finally get rid of. They can make the game a little challenging because of the amount of them coming at you all at once making it tough. As for the controls part of the game, you move with the arrow keys and you can set up your attack and jump keys to whatever you want really, I just left them the way they were. 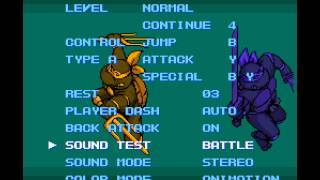 If you are new and you haven't had much skill with tmnt games, then yeah it might be a little difficult at first, but don't give up, once you get the controls down, the game becomes much more easy and fluent to play, get a little more experience with tmnt games the you will understand how to beat the enemies and bosses and you will know what to expect. Overall the controls and difficulty might be a little challenging at first, but once you know how the enemies and the controls work then it will be a lot easier to understand the game and do well. 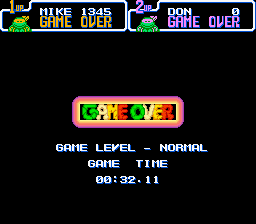 I scored the difficulty a 7 because it can be difficult for newbies to tmnt games, but after figuring things out, it can be pretty straightforward from there. Overall, I really enjoyed playing this game for the amount of fun and challenging enemies and bosses in it that make it a fun experience to play. I really think this game is fun and will be for anyone who has played tmnt games before and are looking for a challenge, this is the game for you. The characters, plot, and story of the game all make for a very fun ad addicting game altogether, so this is a very good game and I really enjoyed playing it which is why I rated it a 9.4.
where's the unnumbered Super Famicom Superior Version? 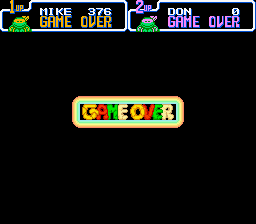 Well, considering that Mikey never said cowabunga in the original comics. . .
Why doesn't the copy of this game give us the true credit ending on normal? If this is the SNES version, than beating it on normal with no support should give us the true ending instead of Splinter telling us to play hard mode just to see them. 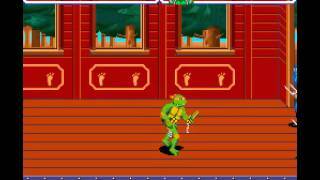 This has to be one of the best Teenage Mutant Ninja Turtle games. Fantastic game, all you would hope an arcade port would be and more. I beat this game on Hard Mode for the first time ever!! I beat it with 2 players set to 1 controller (no joke)!! The ending was AWESOME!! Great way to start the new year, huh? 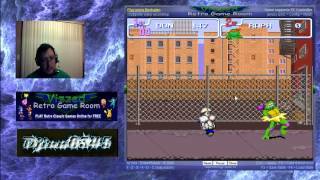 @below,You set the 2nd player controls,OR you can use Netplay if you want. what do u do to play 2 players?Pls teach me how. 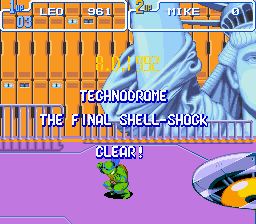 I also found a weird glitch in the Tchnodrome, when a foot soldier grabs Donatello, he turns into Michaelangelo. I'm going to quote Regular Show now, this game is "So much fun"! How you can play with 2 players? I have 2 controls!